Aluminum returns, acrylic faces with vinyl graphics and efficient LED illumination. 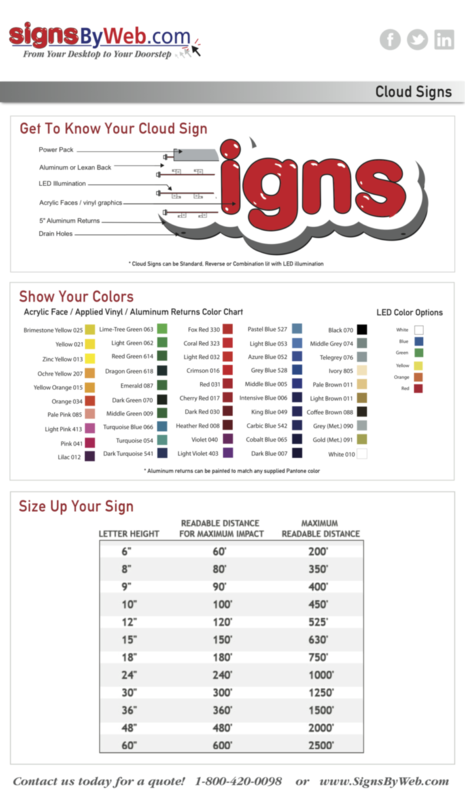 are the best solutions for detailed or design-focused lighted signs. 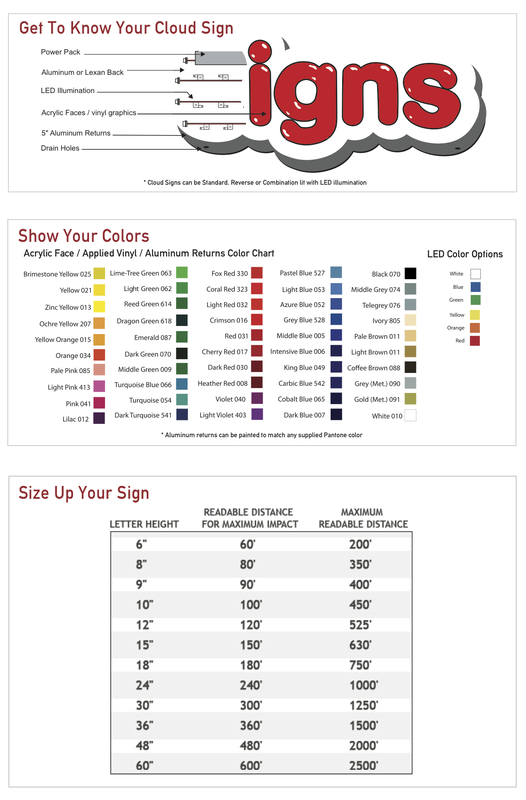 Download our Need To Know Guide for Cloud Signs to take our info with you!